Why Aren’t More People Eating Breakfast? We may know that breakfast is the most important meal of the day, but that doesn’t mean we are taking it to heart and having a hearty breakfast. In fact, although 97 percent of Americans agree breakfast is the most important meal of the day, only 44 percent eat it every day. The most common reasons people skip breakfast are they weren’t hungry, didn’t feel like eating, or they were too busy. Females are more likely than males to skip a morning meal because of being busy or running late. Why is breakfast so important? A good way to look at it is that you are breaking the fast. When you go without breakfast, you have deprived your body of calories since the last time you’ve eaten. These calories help feed your brain and without them you may lack energy, and your metabolism needs fuel to kick-start it into action. Breakfast is important, so it’s important to consume a sufficient amount. 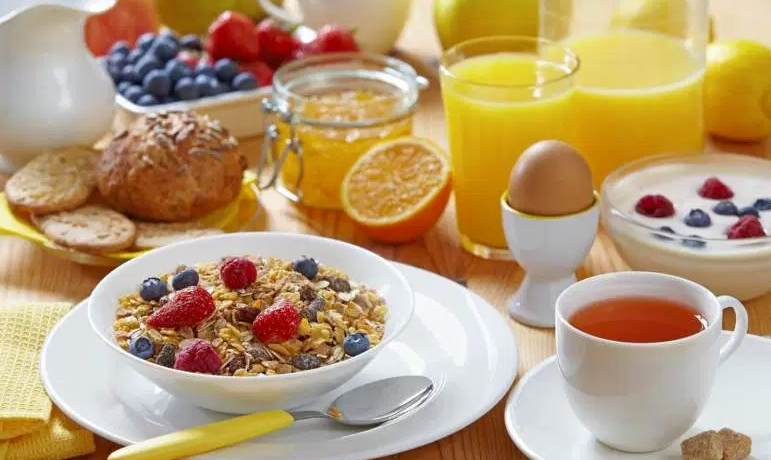 Studies show that people who eat a good breakfast actually consume more vitamins and minerals, and less fat and cholesterol, than people who skip breakfast. Those who make eat breakfast have been shown to be better learners. Children who have breakfast are more likely to have better concentration, problem-solving skills, and hand-eye coordination. Smart choices for breakfast include whole grains, fruit, and low-fat dairy products. The whole grains and fruit contain high amounts of fiber, which tend to fill you up faster and will delay symptoms of hunger for hours. If choosing a dry cereal, look for whole grain as one of the first ingredients. It should contain 3 to 5 grams of fiber, and read the nutrition facts label to make sure sugar doesn’t appear as one of the first three ingredients. Sugar may be listed with a word that ends in “ose,” which means some form of sugar is in the product. Some of the sugar-coated or frosted cereals may have as much as 2-3 teaspoons of sugar for a one eighth cup serving. Oatmeal is another high fiber choice, and with the instant oatmeal on the market today, it can be prepared in fewer than 2 minutes. When paired with fresh fruit and milk, you have a healthy breakfast in a matter of minutes. If you just don’t have the time to grab something at home and must go through the drive through of a fast food restaurant, there are healthy choices for you. Many are offering warm oatmeal, whole-grain bagels, rolls, and English muffins. These are better than fat-filled doughnuts, scones, croissants, or biscuits. Skip the oversize breakfast sandwiches, whole milk, bacon and sausage. All of these contribute excessive fat, calories, and cholesterol to your diet. Breakfast foods don’t have to be traditional. They can be any combination, just make them nutritious and well balanced, and they are limited only by your creativity and imagination. Breakfast doesn’t have to be the full-course meal. Those can be reserved for weekends. There are many nutritious choices out there that can be ready in minutes. As your busy day begins, take a few minutes to include breakfast into your morning schedule. Egg in a Nest is quick, healthy and only has 3 ingredients. As an added bonus, your kids may be able to make it themselves depending upon their age. 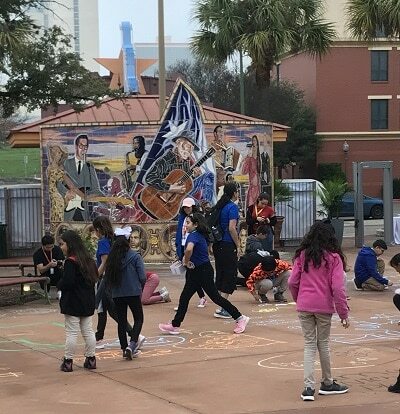 Recently, the Movimiento Estudiantil Chicanx de Aztlán – better known as MEChA – made waves after local chapters of the group decided to drop the words “Chicanx” and “Aztlán” from their name. Given all the contentious debates going on online, Remezcla wanted to give people familiar with the organization, its mission, and its history a platform to weigh in on MEChA’s evolving goals and objectives. Below, check out three different perspectives about the name change. When leaders of Movimiento Estudiantil Chicanx de Aztlán (MEChA) voted to change the organization’s name, some MEChA alumni claimed that by dropping “Chicano” and “Aztlán,” their history would be erased. But students are not fleeing their history or disavowing the struggles of past generations. The terms “Chicano” and “Aztlán” have always been disputed, meaning that today’s students are participating in the student organization’s practices of conscientization and self-determination. In March 1969, with his preamble to El Plan de Aztlán, the poet Alurista effectively renamed the southwestern United States as “Aztlán,” the Aztecs’ homeland. This inspiring utopian vision stated that ethnic Mexicans couldn’t be foreigners within the US’ borders and drew attention to how they had been displaced and erased from US land and history. 50 years ago, several student groups came together at a Santa Barbara conference to become El Movimiento Estudiantil Chicano de Aztlán: a collective mecha (matchstick or fuse). They were not “Mexican American,” but Chicano. They were not in California, but Aztlán. In the organization’s founding, Mechistas sought out names that better spoke to who they were and wanted to be. MEChA’s contemporary leadership is engaging in this same process. Chicano/a/xs are a diverse group that has been divided over their name and platform since the 1960s. Santa Barbara steering committee member Anna Nieto-Gómez has observed that the Plan de Santa Barbara made little room for a large number of voices and visions. We too easily forget how internal contestation has been central to the histories of Latina/o/x activism. 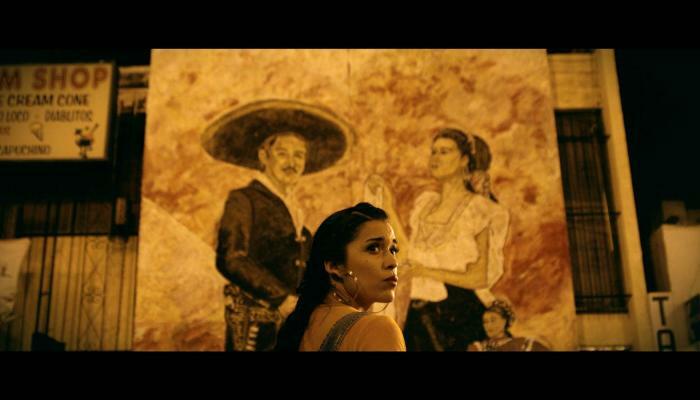 Even though some Indigenous ethnic Mexicans embraced it, Aztlán has long faced criticism, particularly from certain Indigenous populations in Mexico and the United States. 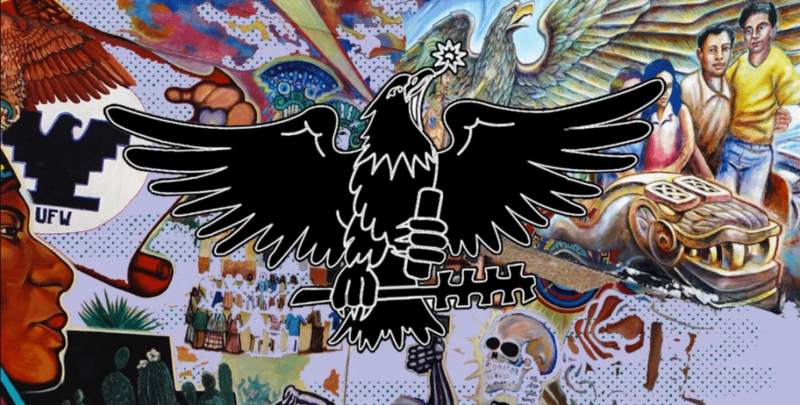 Earlier generations have asked: Does Aztlán help or hinder solidarity with Indigenous non-Mexicans’ rights to land, sovereignty, and self-determination? Appeals to Aztlán drew upon a Mexican nationalist revolutionary mythos that valued racial mixture – mestizaje – appropriating Indigenous imagery while opposing Indigenous rights, and excluding Mexicans of African and Asian descent. Alurista responded to already present critiques in 1972 with his Nationchild Plumaroja by being more gender inclusive and emphasizing Indigenous traditions rather than mestizaje. Continue onto Remezcla to read the complete article. In Chicago, Blacks and Latinos each make up almost 30 percent of the population (29.7 percent and 29.4 percent, respectively) according to a report from the Institute for Research on Race and Policy and Great Cities Institute. But those who identify as Afro-Latino see themselves in both communities and are trying to express that duality. A Pew Research Center survey from 2016 showed that one-quarter of all U.S. Latinos self-identify as Afro-Latino, Afro-Caribbean or of African descent with roots in Latin America. This was the first time a nationally representative survey in the U.S. asked the Latino population directly whether they considered themselves Afro-Latino. In Chicago, Mexican-Americans make up almost 75 percent of the city’s Latinos; many live in the neighborhoods of Pilsen in the city’s Lower West Side and La Villita in the area of South Lawndale. Puerto Ricans, Cubans and Dominicans make up most of the rest of the city’s Hispanic population. Two sisters have found a different way to express their Afro-Latino identity. Raquel Dailey and Rebecca Wooley identify as Afro-Boricua; “boricua” refers to the name Taíno Indians had given to Puerto Rico. The sisters say that when they attend cultural events in Chicago, people are shocked to discover their Puerto Rican heritage. It may surprise some people to learn that Arturo Alfonso Schomburg who pioneered the idea of a Black Diaspora, referred to himself as an Afroboriqueño. 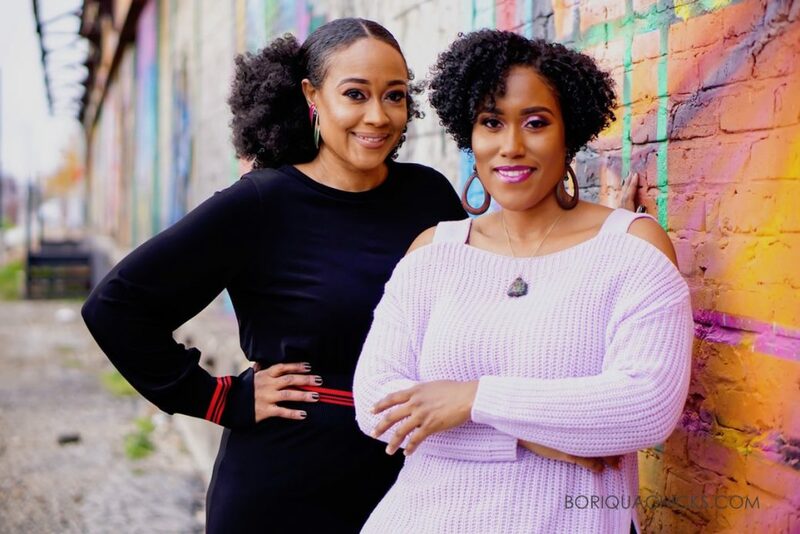 Similar to Jubal, Dailey said she felt like a lot of Afro-Latino representation was missing from the television shows, films and magazines they watched and read, which is why they created their lifestyle blog BoriquaChicks.com in 2012. It includes interviews with various Afro-Latina women from the country as well as articles with topics such as “Things Afro-Latinas Are Tired Of Hearing.” She said she and her sister initially created the space as a way for the public to relate to their story. For the complete article, continue on to NBC News. 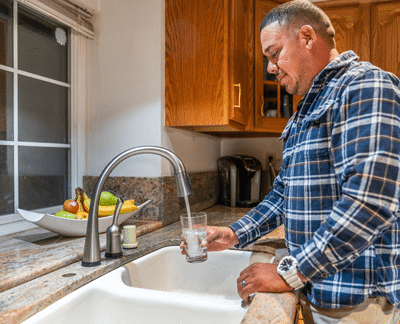 Riverside, Calif. – This World Water Day, March 22, the Santa Ana Watershed Project Authority (SAWPA) wants to remind its customers in the Santa Ana River Watershed (SARW) that the tap water that comes to their home is safe to drink. The Santa Ana River Watershed, which stretches 75 miles from the San Bernardino Mountains to the Pacific Ocean in Orange County, is home to a large immigrant population. These immigrants come from countries where tap water is not safe to drink. 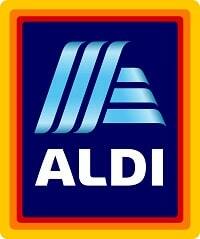 Therefore, they still rely on boiling water, bottled water, water stores, and water vending machines. Bottled water is tested less frequently than water from tap-water providers and is stored in plastic containers that can leach toxic chemicals. There are no testing standards for plastic bottles leaching toxins into the water or testing for possible bacteria that might form in water bottles. Additionally, corner water stores are supposed to be monitored and regulated, but often inspections are not consistent, and the water quality can be unreliable. Customers’ water jugs and bottles used to collect water from stores and machines are often used multiple times, and may contain bacteria as well. Avoiding tap water also has health risks as often water is substituted for sugary, high-calorie drinks, such as soda, juice, and sports drinks, which can lead to diabetes and obesity. All tap water in Southern California and across the United States undergoes mandatory daily testing at certified laboratories to ensure it meets or exceeds standards. The Safe Drinking Water Act requires that public tap water providers conduct comprehensive water quality testing by certified laboratories as well as provide annual water quality reports to its customers. Established in 1993 by the United Nations, International World Water Day is held annually on March 22 as a means of focusing attention on the importance of freshwater and advocating for the sustainable management of fresh water resources. Looking to Make a Difference? SHPE is Looking for YOU! 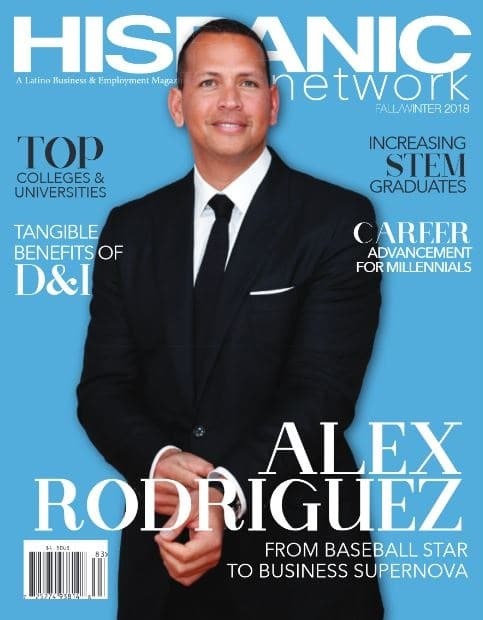 The Society of Hispanic Professional Engineers changes lives by empowering the Hispanic community to realize its fullest potential and to impact the world through STEM awareness, access, support and development. For more information, please visit shpe.org. Home will always be the foundation of any child’s learning, and healthy online habits are no different. Google’s Be Internet Awesome created a bilingual Family Guide and online safety tips in English and Spanish to help families practice good digital habits in their everyday lives. 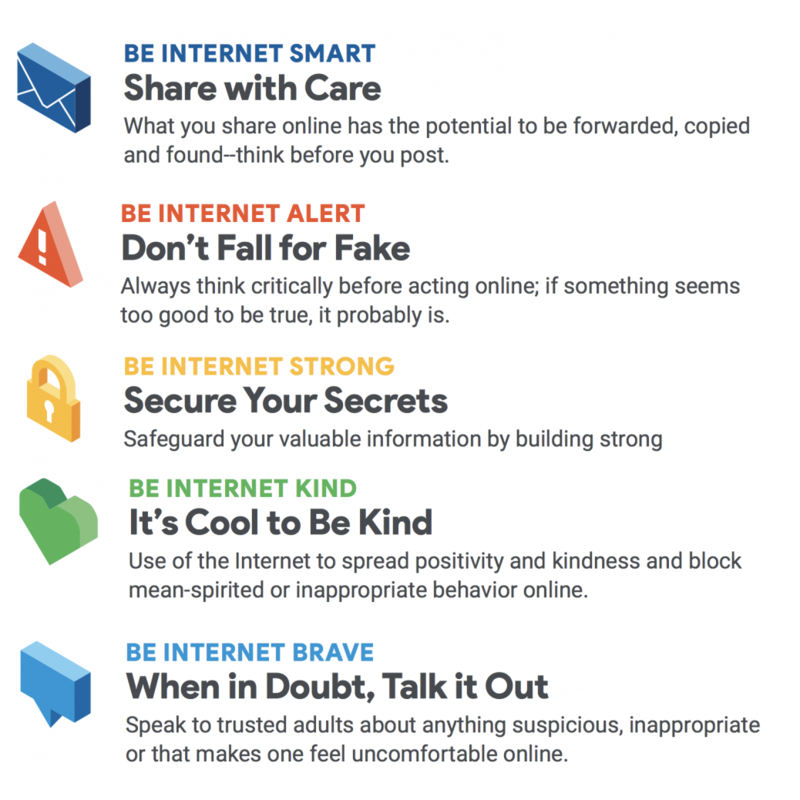 Families will learn to Be Internet Awesome by learning how to share, be alert, be strong, be kind and be brave online. The guide offers tips, conversation starters, vocabulary words, goals and scenarios that will assist in raising strong and smart digital citizens. The new resources were released on Safer Internet Day to help foster conversations between family members. You can download the resources on the Be Internet Awesome website or check out the blog to learn more about additional new program updates. Below are five tips families can share with their children on how to stay safe and smart online. If one thing is clear as we start 2019, it’s that America is changing. According to a Claritas report (registration required), in the United States today, there are 131 million multicultural Americans, making up 37.5% of the U.S. population, with Hispanics accounting for the largest portion at 19.6%. Minority groups now represent the majority of the population in more than 400 U.S. counties. There can be no doubt that America is becoming multicultural and that Hispanics are a significant part of this change. Although some brands are starting to face the facts, there is a still a long way to go before advertisers understand the U.S. Hispanic market and unlock its potential. From the enormous success of Black Panther and Crazy Rich Asians to the rising popularity of Hispanic celebrities like Cardi B, America has changed a lot in the past year. We’ve seen advancement in film representation, a resurgence in cultural and political movements, and the continued popularity and application of technology like smart homes and streaming media. And 2019 will be no different, with these changes impacting not only the people living in the U.S. but also brands across industries that will have to evolve with the changing American landscape. According to 2017 estimates from the Census Bureau, there are over 58.9 million Hispanics living in the United States, and by 2030, U.S. Hispanics are expected to reach more than 72 million. More than that, this growth doesn’t just mean more Hispanics, it also means a transformation of the Hispanic market. 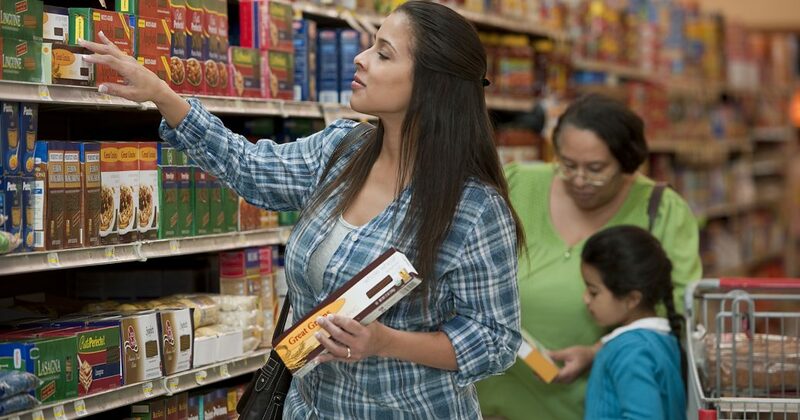 Hispanic consumers today are not the same as Hispanic consumers from years back. They are now the youngest ethnic group in America with the median age being 28. Realizing their youth is crucial for advertisers as it influences their media consumption habits, the technology they use, their abundance in prime spending years, and much more. Hispanics — especially in the younger age groups of the U.S. population — are also increasingly more diverse than older Americans. As a matter of fact, almost half of the U.S. millennial population will be multicultural by 2024 (registration required). Riverside, CA – Western Municipal Water District’s (Western) new handbook, the SoCal Yard Transformation guide, is now available in Spanish. The landscaping guide is free and available to Western customers, as well residents throughout the Santa Ana Watershed. The Spanish version was developed in response to the more than 1.5 million Hispanic/Latino residents in the watershed region. This landscaping guide offers full-color illustrations, and covers topics such as water, planning, soil, planting, utilizing native plants, irrigation, and sustainability. It was written by experts in an easy-to-understand manner and includes a dose of humor. Assisting local homeowners to strive for sustainable water use, the SoCal Yard Transformation English and Spanish versions provide important recommendations on how to create permanent water-saving landscape changes. With California’s cyclical drought conditions, homeowners now have a helpful guide to adapt their yard to be water wise. The book was made possible by the Safe Drinking Water, Water Quality, and Supply, Flood Control, River and Coastal Protection Bond Act of 2006 (Proposition 84). The handbook can be picked up at Western’s office at 14205 Meridian Parkway in Riverside. For more information, or to request your own copy, please call 951.571.7100 or visit wmwd.com and search “SoCal Yard Guide”. “We just don’t think it could happen to us, or that it only happens to older women,” said Pablo, who’s 37 and recently battled breast cancer. Clara Pablo is a music executive who has been “living the dream” when it comes to working with top Latino talent, from Ricky Martin and Shakira to Carlos Vives, CNCO and Maluma. Yet Pablo, 37, a marketing executive for Walter Kolm Entertainmentand a former Univision director of talent relations, has been involved in her most personal and important campaign to date — spreading the word about the importance of breast self-exams and routine checkups after she was diagnosed and was treated for breast cancer. “I wanted to replicate Nalie’s campaign to the Spanish market, and tell women that early detection is key,” Pablo said. According to the Centers for Disease Control and Prevention, cancer is the number one cause of death in Latina women, particularly women under 40. For Pablo, Latino communities don’t have enough conversation about cancer despite of how much it affects them. With positive spirits and over 101K Instagram followers, Pablo has helped raise awareness among Latinos. The campaign encourages women to put their hand on their breast to do a self-exam, and take and post a photo using the hashtag #TeTocaTocarte on the first of every month and tag others to do the same — hoping to show that self examinations can be simple. 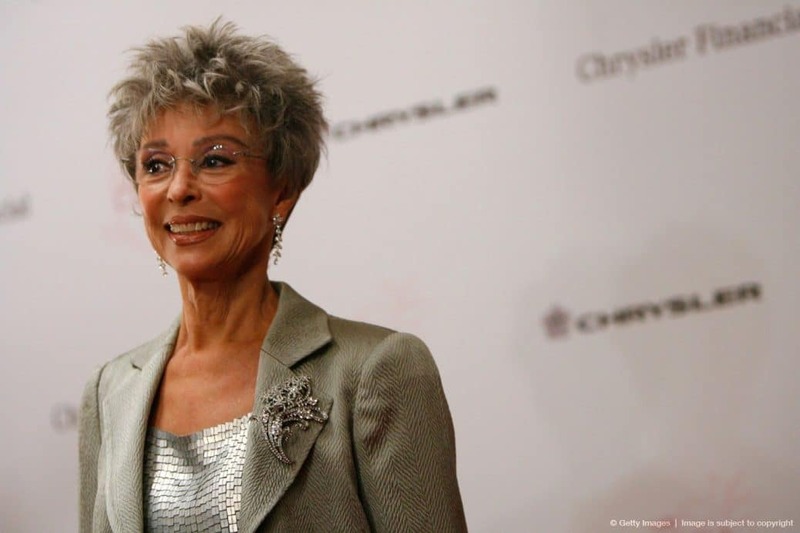 The campaign also seeks to encourage women of all ages to get a mammogram, get tested for the hereditary BRCA gene and communicate with others. Spanish on-air talents such as Evelyn Sicaros, Carolina Sandoval and Clarissa Molina posted selfies in solidarity with the cause. Even Puerto Rican-pop singer Luis Fonsi (“Despacito”) and his wife, supermodel Águeda López, showed support for their good friend during her appointments, even after she finished her radiation. It was in August of 2017 that Pablo felt a lump on her right breast while watching television. After a biopsy at the Miami Cancer Institute at Baptist Health South Florida, the doctor told Pablo they had found a stage 1 tumor in her breast. She was diagnosed with invasive ductal carcinoma (IDC), a common type of breast cancer last summer. “It felt like somebody had just punched me in the gut, really hard,” Pablo recalled. Although she has two aunts who are cancer survivors, the thought of having breast cancer had not really crossed Pablo’s mind. Pablo traveled regularly for work and was in the middle of planning a trip to visit her boyfriend’s family in Europe. On Oct. 1, 2017, Pablo commemorated the start of Breast Cancer Awareness Month by posting a a photo on Instagram to announce her cancer diagnosis. Within 48 hours, the post went viral. Continue onto NBC News to read the complete articles.